In 2011, a Hindu nationalist group in India began protesting the publication of University of Chicago Professor of Religion Doniger’s history book (shortlisted for the National Book Critics Circle’s non-fiction award in 2009) because they felt it belittled their religion. Last month, after years of arguments though before a court verdict, publisher Penguin India agreed to destroy every copy of the book in the country. 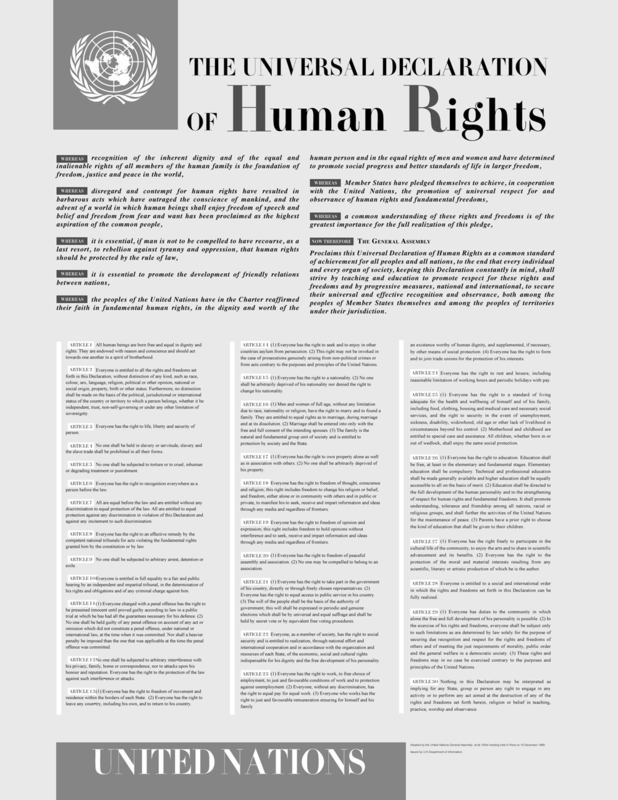 Despite the protests of dozens of writers, the publisher said in a statement, “... a publishing company has the same obligation as any other organization to respect the laws of the land in which it operates, however intolerant and restrictive those laws may be,” referring to an Indian penal code that forbids insulting a group’s religious beliefs. Since the decision, The Hindus has experienced an increase in sales in areas without a ban on the book. Though the response to Penguin Books India’s decision has largely been negative, not everyone is on team Doniger: Novelist Vamsee Juluri recently criticized her book, which he compared to “A book called The Poor, written by a millionaire who reads a few books on poverty (written mostly by other rich people).” The controversy delves into issues of censorship both before and after publication. As recently as fall of last year, the neo-Nazi group Magyar Nemzeti Arcvonal (Hungarian National Frontline) was orchestrating book burnings on the anniversary of Kristallnacht. 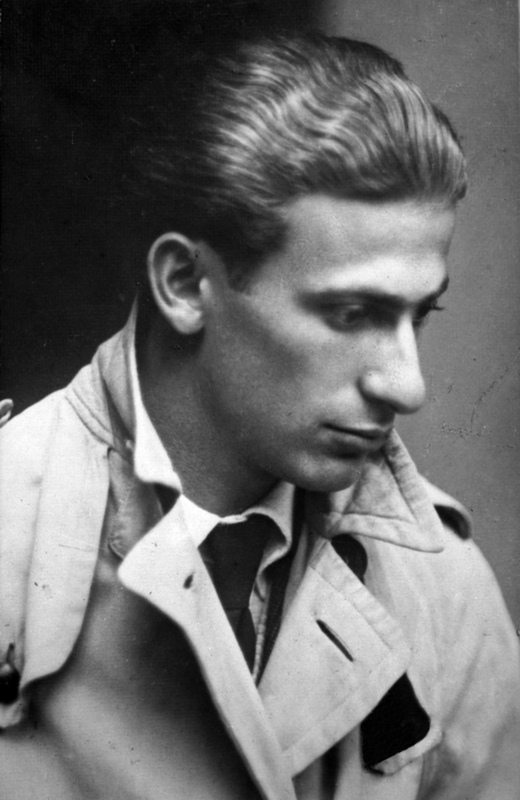 The targeted literature, posted on their website (21st century book burning at its best), ranged from the obvious — “Zionist prints” — to the ironic — “chauvinistic and hate-mongering pieces.” The group wore camouflage as they tossed books, such as those by Jewish poet Miklos Radnoti, who was murdered on a death march in Hungary during the Holocaust, into the flames. 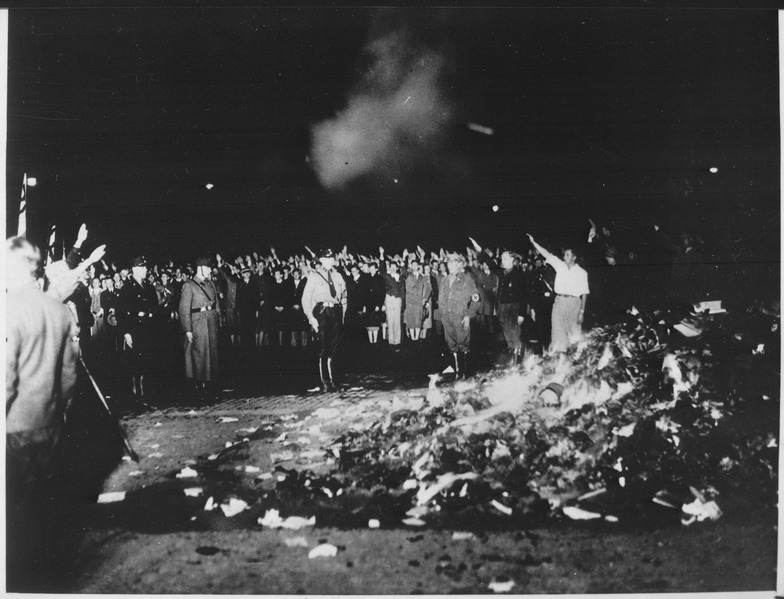 Of course neo-Nazi book burnings are nothing new, but the recentness of this incident and Magyar Nemzeti Arcvonal use of technology to take their destruction to the next level is alarming. Over the summer of 2012, two Cleveland DJs organized a Fifty Shades of Grey burning, which they said was prompted by calls to their station complaining about the novel. Participants brought their own copies of James’s work to destroy, and one woman even contributed her Nook to the cause. The local fire department was called in to ensure the safety of the book burners, who destroyed about 20 to 25 copies of the paperback. Participants cited everything from the book’s treatment of women to it being, well, just plain annoying as reasons to consign it to the flames. Literati likely aren’t weeping over the loss, but the idea of firefighters moderating the safety of a book burning hits a little too close to Fahrenheit 451 for comfort. Pastor Terry Jones burned a copy of the Quran at his Florida church on March 20, 2011 following a Facebook threat that he would burn the Muslim holy book on September 11 to commemorate the World Trade Center attacks. The September 11 event was called off following the involvement of various U.S. and world leaders, but not before it inspired similar burnings in Springfield, Tennessee and Topeka, Kansas, which in turn inspired protests in Kashmir that resulted in the deaths of 13 civilians. After Jones followed through with his burning in March, protests in Afghanistan ended with 30 casualties. Jones was later caught in 2013 attempting another burning of the Quran — 2,998 copies, one book representing every victim of the September 11 attacks — but was arrested before he could continue. When former Defense Intelligence Agency Officer and Army Reserve Colonel Shaffer wrote a memoir about his experience in Afghanistan, St. Martin’s Press secured permission from the Army before going ahead with publication. When the C.I.A and the N.S.A, however, were given the book with all other reviewers, they demanded the text be altered, given what they felt was classified information that it contained (such as the names of officers in Afghanistan). The Department of Defense subsequently purchased and burned around 9,500 copies of the first printing of Operation Dark Heart. “Someone buying 10,000 books to suppress a story in this digital age is ludicrous,” Shaffer rightly pointed out, though a second edition of his book deleted previously included details and censored classified texts. On October 31, 2009, the Amazing Grace Baptist Church in Canton, North Carolina planned to celebrate the evening with a book burning, complete with a sign advertising the event. Pastor Marc Grizzard had declared the night would be spent burning any media deemed “satanic,” which included ... the Bible? The pastor and his flock, claiming that the only accurate Bible was the first King James translation, claimed all other editions were “perversions” and therefore had to be tossed into the flame. The 2009 burning was called off due to weather and protesters, and a “book-tearing” was held inside the church instead. Since their original book-shredding event, the church has held an annual destruction of “satanic” materials. The Independent Library Project was founded in 1998 based on Fidel Castro’s assertion that "In Cuba there are no prohibited books, only those we do not have the money to buy." When groups of intellectuals and librarians attempted to establish private libraries outside of the government framework, however, they were met with harsh opposition. Beginning in 2003, librarians were taken to trial by the Cuban Department of Interior, with many judges ordering the incineration of the Independent Library’s entire contents. You may not like Fifty Shades of Grey, but does that give you the right to destroy it? Does the fact that a novel is burned because of offensive subject matter mean that it should never have been published in the first place? Is burning a religious group’s text somehow different than any other book? While the answers may differ according to each person who responds, one thing is certain: If we destroy all of the books that raise these questions, we lose the ability to discuss them at all. Adina Applebaum is Michigan native studying English and creative writing at Barnard College. Her crowning achievements in life are memorizing the entirety of lyrics on the Slim Shady LPand eating an entire gallon of chocolate-covered raisins during orientation week of college.